A brave driver has driven a blazing fuel tanker away from a gas station—leaving a trail of flames in his wake. 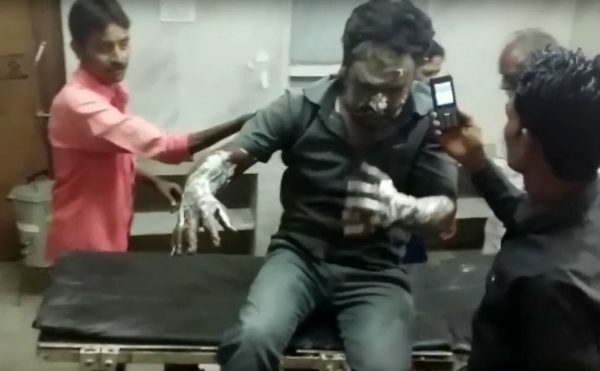 Sajid Khan, 38, initially fled the truck when it caught fire but turned back and jumped into the cab to drive it more than a mile away—saving the town. A video taken by onlookers shows his flaming truck leaving a “river of fire” as he drove it to safety. Khan only jumped to safety once he was able to safely abandon the truck on a deserted road, and escaped with minor burns to his hands, face, and feet. Police officers applauded his actions in Gotegaon in the Narsinghpur district of Madhya Pradesh, India. 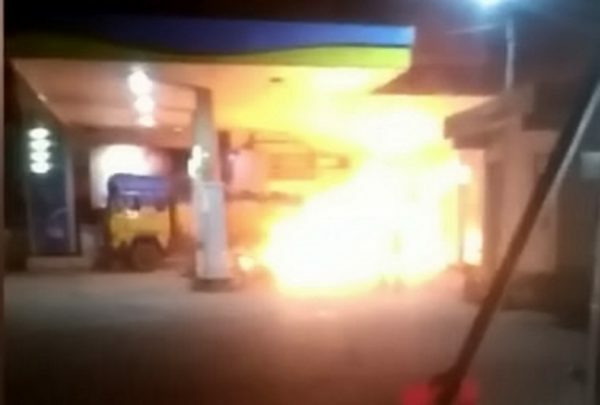 The incident happened on Sunday, March 25, when the fuel tanker was standing at a gas station and suddenly caught fire. Khan initially tried to put out the fire with an onboard fire extinguisher, but when the flames only increased in ferocity, he called the fire service. After briefly running away he jumped into the truck and put his foot to the floor, risking his life to drive more than a mile along the road. Onlookers said a “river of fire” was left behind, which engulfed vegetables and fruit stalls. It was extinguished by locals and the fire brigade. Khan was taken to Jabalpur Government hospital by police for treatment.